To scan and send Dancer Mail, click here. Unable to make it to THON weekend, but still want to get involved? Dancer Mail Call is a great opportunity to show your support for the dancers so they can be there for the kids. This year the THON community is asking all alumni to either mail in or upload mail that will be distributed to dancers throughout the weekend. Former dancer? 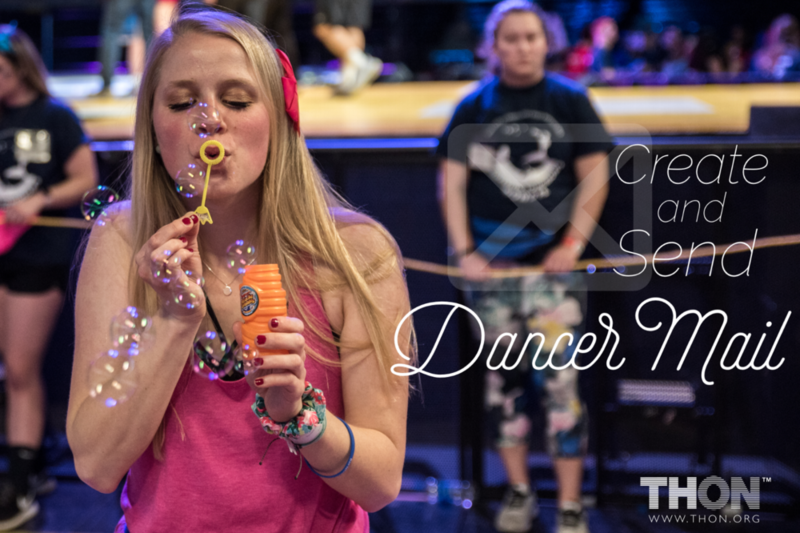 Feel free to write a note about your dancing experience in order to inspire those standing up to childhood cancer for 46 hours this year. For paper copy submissions, you can write messages on construction paper and mail it into the THON office at 227D HUB, University Park, PA 16802. You can also scan and upload your letter in the dropbox below. Below are some helpful hints for making dancer mail. If you have any questions, please reach out to alumni.campaigns@thon.org. Hard copy submissions must be received or postmarked before 2/5/2019. Online submissions are due by 2/8/2019. To scan and send Kid's Mail, click here. We are calling all of our alumni to write Kid’s Mail! 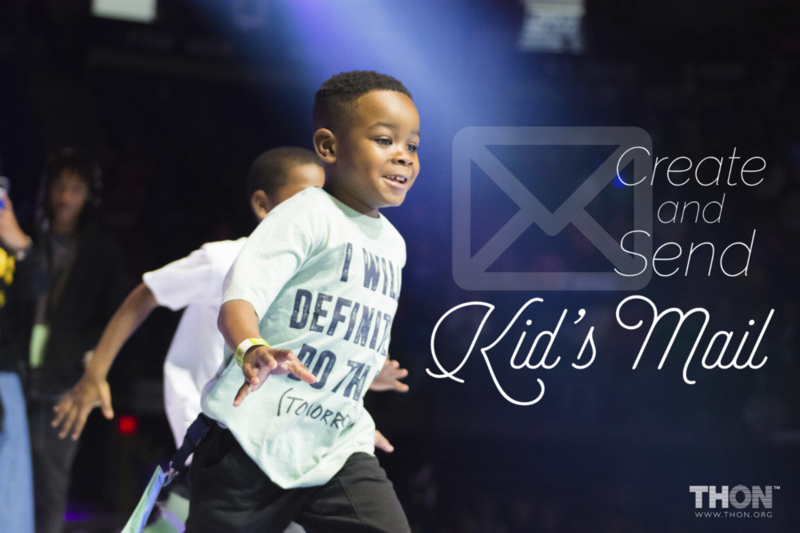 Kids’ Mail Call is an hour-long event during THON Weekend in which Four Diamonds Families receive a collection of mail from the THON Community. This year, Kids’ Mail Call is circus-themed! A year’s worth of kids’ mail and support from the THON Community aims to further inspire and create “a million dreams for the world we’re gonna make.” You can write Kid’s Mail today by writing fun, inspiring notes on construction paper, and sending it in to the THON Office at 227D HUB, University Park, PA 16802, .
or by scanning it and uploading it here. One important note is that there are some things to consider when writing Kids Mail. Below are some things that we ask that you do or do not do when writing. If you have any questions, please reach out to alumni.campaigns@thon.org. Encouraging messages, quotes, lyrics, kid-friendly jokes, etc.! Have fun with it! Add drawings, lots of color, and/or stickers!